Jo Langton – Poetea. 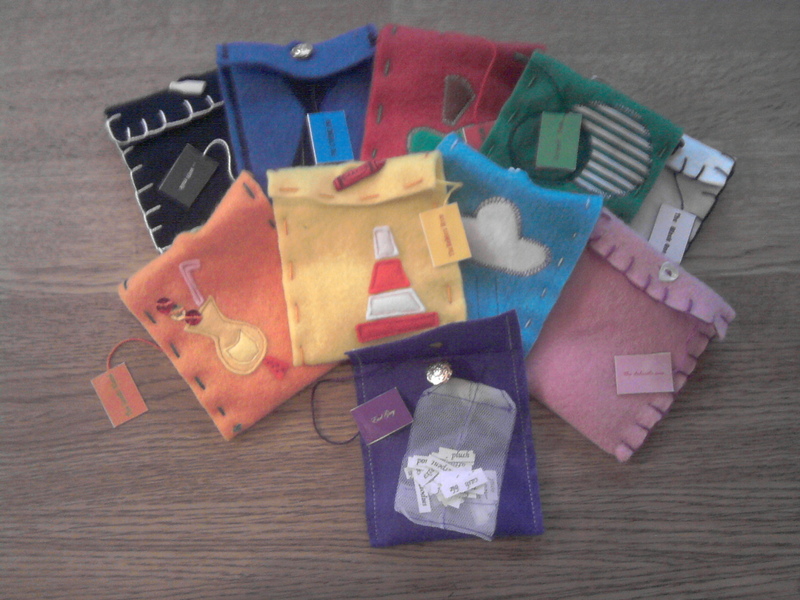 Handmade cloth tea bags in handmade felt sleeves, with each bag containing text. 10 varieties available: Builder’s; Black; Delicate; Exotic; Fresh; Fruitea; Green; Rich; Strong; White. Please specify when ordering if you prefer a particular variety. This object is no longer available. This object has adjuncts. Jo Langton is currently studying her MA in Experimental Writing at the University of Salford, Manchester. She has a chapbook entitled [fill the silence] out with erbacce-press, and has been published online in Streetcake, Department, 3.A.M, The Ofi Press, Bare Hands & The Railroad Poetry Project. I’m in danger of becoming addicted to these textual pieces. May I have the Builder’s T? Paypal didn’t ask me! Oh how I wish this weren’t sold out – I would lovelovelove one! Siiiigh!